We produce a range of boxed or unboxed 100V line distribution transformers. 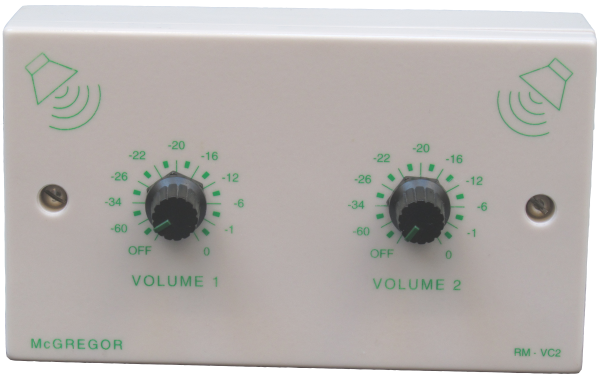 These transformers permit audio amplifiers of 100 or 250 Watts into 4 ohms output to generate a 100V line level. 100V line level is ideal for low loss sound distribution and easier impedance matching. We produce two remote volume control panels, a single gang remote panel and a dual gang remote. 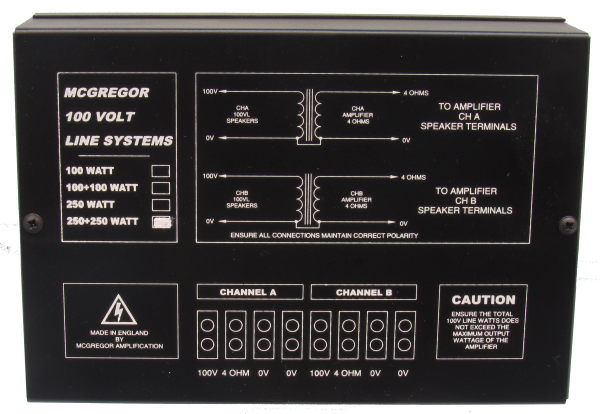 These are suitable for use with all McGregor amplifiers that have remote volume control facilities including all zone amplifiers. See rear of the amplifier for wiring information. The SL2 is an inline stereo limiter and is ideal for venues and hire companies requiring control of maximum sound pressure levels and for those trying to protect their sound equipment from misuse. The SL2 connects between the mixer and power amplifier and controls the maximum output available signal to +4dB without the need for a power supply or batteries. Dual LEDs glow progressively brighter as the input signal exceeds +8dB, whilst the output stays essentially the same as limiting occurs. 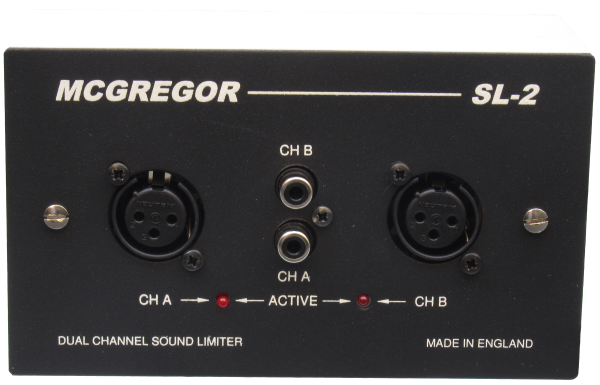 Maximum output is internally adjustable from min to +4dB max on either channel. The SL2 fits a standard dual ganged wall socket with a 45mm depth and is supplied with a surface mount dual gang box. 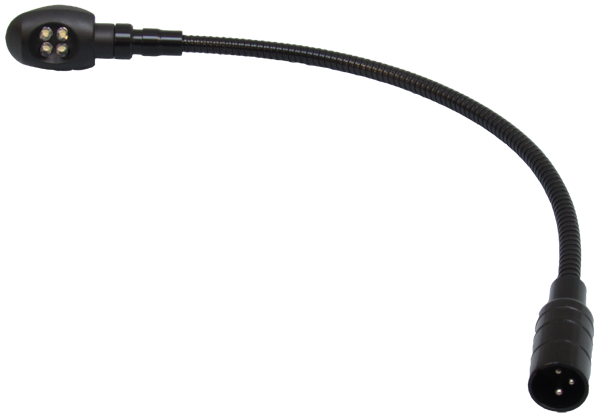 The SL2 can also be used as a plug in point for a venues incoming artists. Personal audio mixers will then not be able to exceed the desired sound level for the venue. See downloads for additional installation and setup information. Simply provides a neat solution as an interface point for incoming artists to connect to a house system. 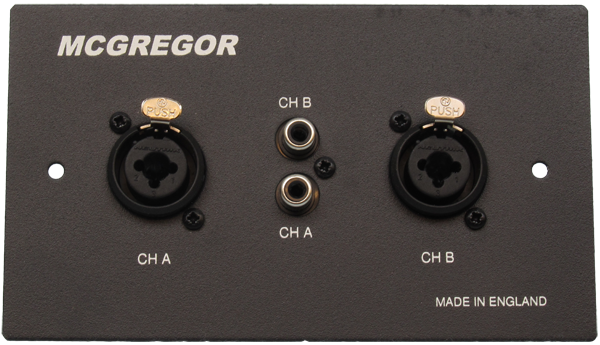 Inputs are XLR or phono (RCA), XLRs can be balanced or unbalanced. Black flexilight lamp comprising of five ultra bright LEDs. Stylish and attractive rack sleeves made from MDF and painted with a black textured paint. Ideal for mobile applications and cosmetically pleasing installation environments where rack mounting is not required.